Notes: A really super example of this type of highly stylized (read geometric) floral Bakhtiari rendition. The Bakhtiaris, as herders, live/d in some of the most inhospitable mountainous terrain in Persia, but their rugs frequently feature dreamlike and abundantly verdant gardens, full of flowers. Wish-fullfillment in woven form, perhaps. 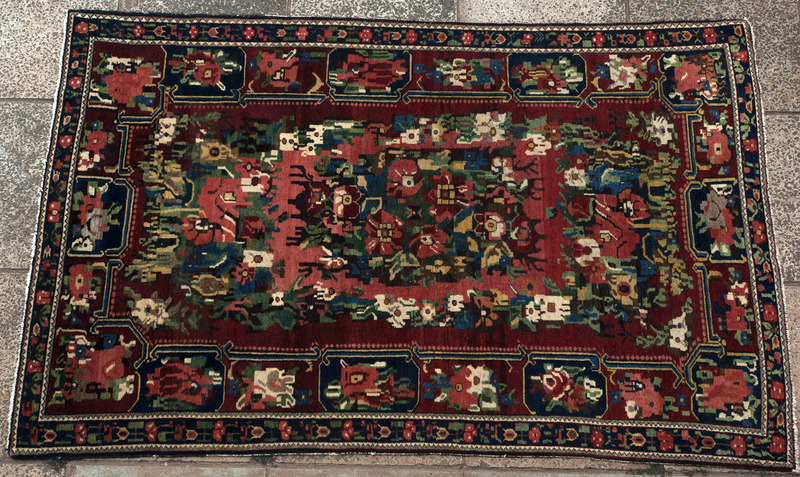 The weavers of this rug may have been sedentary, but their love of gardens has remained. The natural dyes are sumptuous and the soft, oily wool is first-rate.